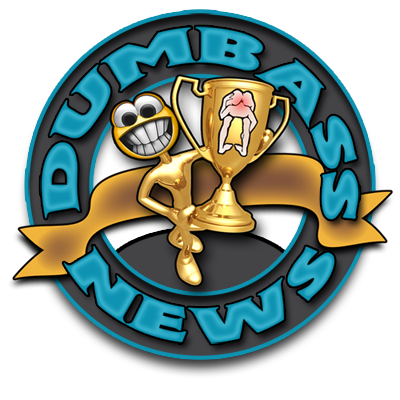 Put "Dumbass News" on YouTube or Not? Vote in Our Poll Here! Yesterday I wrote that a Fearless Leader leads. A good Fearless Leader also listens to the people he leads - in this case Dumbasses. I have been considering an idea for quite some time now that would set the World of Dumbassery on its gazebos. I am seriously thinking about starting a YouTube Channel that would feature me,. in all my Dumbass Glory, reporting on the moose crap that you've been reading for the last 22 months in another media format. I would still keep the blog going on a daily schedule, but throwing in at least a couple of video versions of Dumbass News on the YouTube gig every week. What do you think of this groundbreaking developement? At the top of the right side bar I put up a Poll where you can voice your opinion. There are several choices, so be sure to read through them all and make your decision accordingly. Your opinion matters. Kind of. I'll keep the poll going for a few days so I can get a good cross section of votes from Dumbasses all over the world.